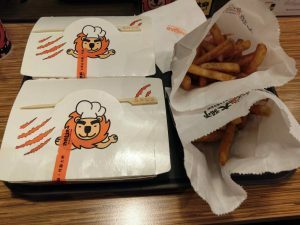 Fried Chicken Master is a Taiwanese fast food chain that opened it’s first Singapore branch at NEX (Serangoon). The branch in NEX is pretty squeezy, while there are seats, it is more like a Kiosk. Very suitable for takeaway since it leads right to the MRT station. 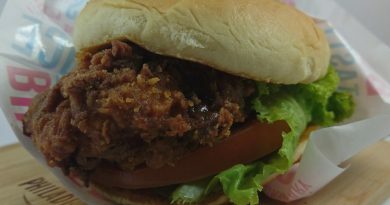 You can find out more on their ongoing deals and menu items on their Facebook, especially since the place seems FLOODED with promo sets and deals. 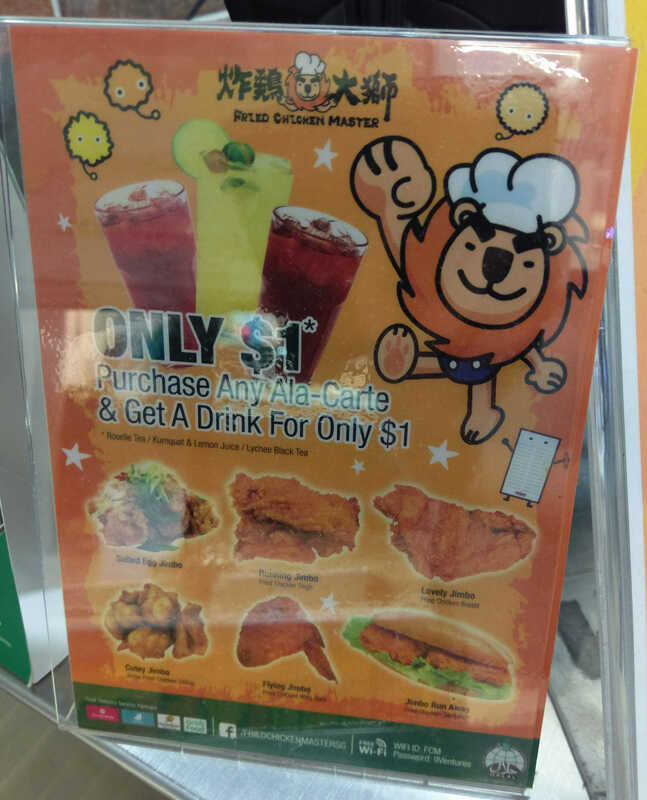 In fact, the Buy 1 Free 1 Chicken Thigh with Roselle Tea on Fave for S$6.60 is the same deal offered at the store without Fave. 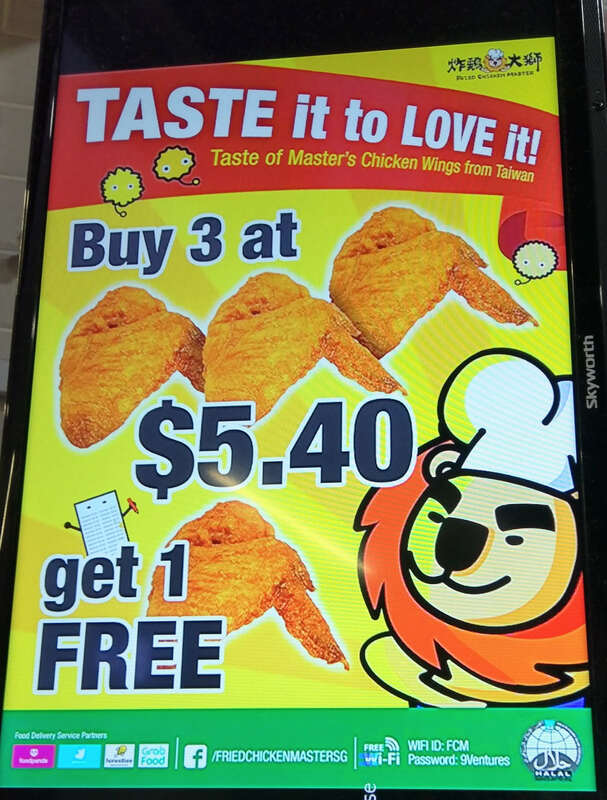 Honestly, the menu is pretty confusing since they don’t actually tell you anything about what to expect of the chicken. What the hell is Cutie Jimbo? I guess Cutie means that the chicken pieces are small, but what kind of taste am I expecting? 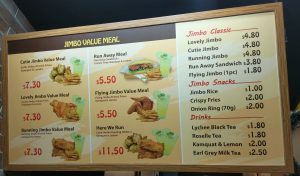 According to Namhj, Lovely Jimbo ($5) uses breast meat, Running Jimbo ($4.80) has the thigh and the Flying Jimbo ($3.80 for 2pcs) are wings, though the marinate is the same. Jimbo refers to 金宝 pronounced in the Hokkien dialect, meaning “golden treasure” in Chinese. It is claimed that only fresh chicken is used. The set came in a box like this, still greasy from oil and with a conveniently tucked stick. Already looks great as an option for takeaway. Chicken itself is good and very flavorful. 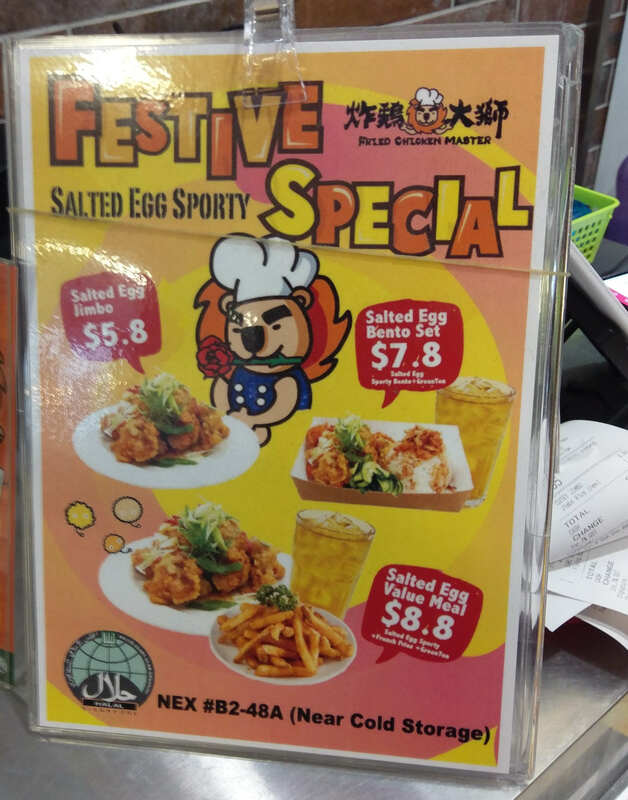 The salted egg set seems to be using the Cutie (Cutesy? Cutey?) jimbo, since it is chicken pieces rather than a whole steak. 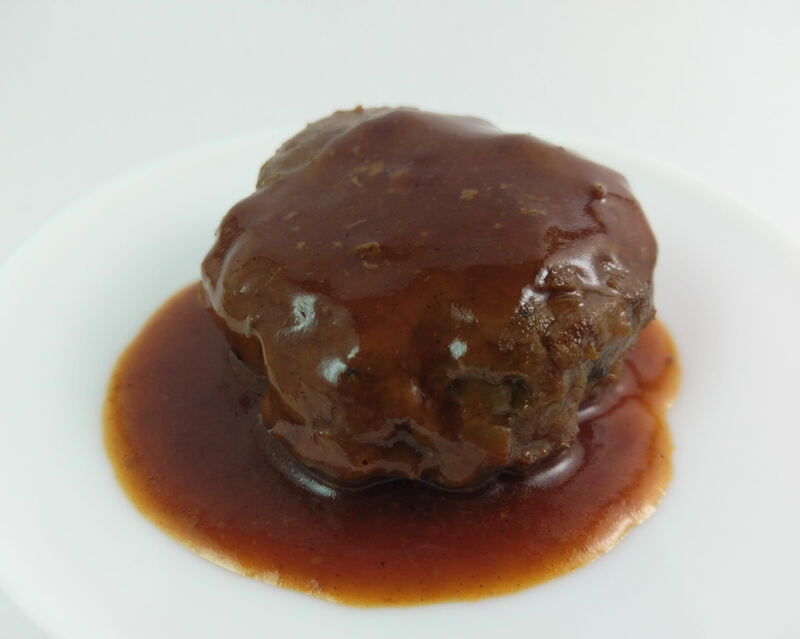 Well coated with the sauce, and not overflowing with sauce that it takes away from the crispiness of the skin. Chicken itself is very lightly battered, but well seasoned. 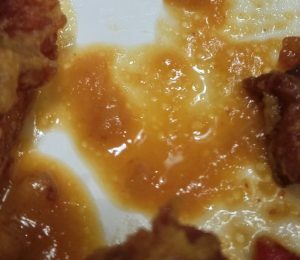 Salted egg sauce is a bit on the sweeter side, and is unexpectedly less salty. In fact, looking at the sauce you can see what seems to be sugar crystals. Salted egg flavor is very distinct, and despite being something that can be called “sweet egg chicken”, it is not anything less than advertised and I am impressed with both taste, freshness and portions. 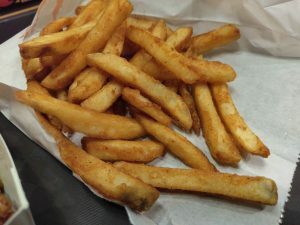 Fries are lightly spiced, but are perfectly fried and crisp, with the skin still intact. Interestingly, some compare this to the taste of McDonald’s prosperity twister fries. 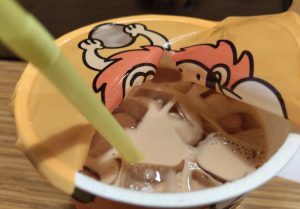 The earl grey milk tea is quite different, as the Bergamot scent is quite prominent, and is felt almost immediately through the back of my throat. In most earl greys that I drink, the Bergamot is sort of like a perfume that sticks at the back of my nose. The tea leaves are apparently sourced from Sri Lanka. I took a slight detour to end up at NEX in order to use my voucher, and I don’t really regret it. The location is also pretty accessible already. With their regular promotions, I think I got everything that I wanted from the set and maybe more. Maybe you take it down a score when they do not have promotions, but the food is good and well worth the price. HungryHalalFoodSeekers seems to like it, though feels that it is better to takeaway due to space in the store. DanielFoodDiary got the chicken for takeaway (hence somehow it seems like they got a lot of space in the pictures), and got slow service. While (s? )he loves their fried chicken, there might be better options until Fried Chicken Master sorts out their operational kinks. Namhj gave it 7/10 for a media invite, which seems like a low score, though the written words seem pretty good. 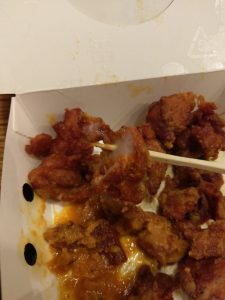 MissChocoholic ‘s blogpost is “Simply the Best Fried Chicken from Taiwan”. 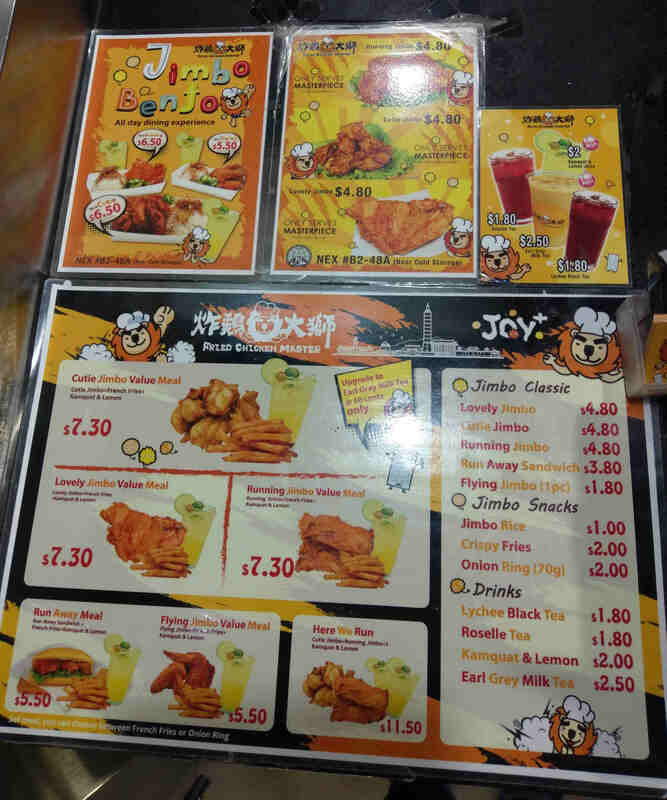 BellyNomster got a hosted meal, but got a new favorite store for Taiwanese fried chicken. RachelWong seems to like it. Google reviews has it at 4.7/5 with 16 reviews (as of Nov 2018). Love it. 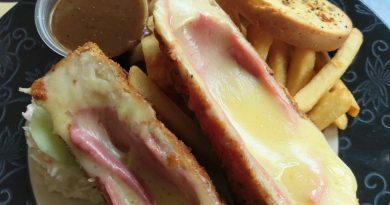 FoodPanda reviews has it at 3.5/5 stars for 141 reviews. Complains seem to be about delivery, and not the food. Burpple seems to like it.